We aim to show you accurate product information. Manufacturers, suppliers and others provide what you see here, and we have not verified it. Manufacturer Part Number. Assembled Product Weight. Very good with the exception of the sound quality. 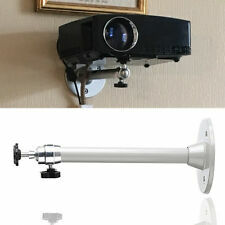 The image is quite good provided the projector is positioned correctly. The keystone correction is useless because if used you can't focus the entire image the top or bottom will be out of focus. The sound is not good but you can patch the audio to a different sound system and having a internal speaker is useful in a pinch. This unit is very light and portable. Color rendering is not great but quite good for the price. Overall it is a amazing little projector. Picture quality is horrible. You cannot focus the entire image. Once it's focused at the top it goes blurry at the bottom. If you adjust it for the bottom then it goes blurry at the top. It has a native resolution of 840 x 480 with support for 1920 x 1080 which means that it can accept a high-resolution image but the only thing you're ever going to see is 480 lines of resolution on your screen. I regret wasting money on this thing and will be spending quite a bit more on something with a higher native resolution. For the price its the best in the market.Its like watching on a 100 inch tv .The image is very clear. Its not the brightest though but bright enough. .I use bose mini link and chrome cast and it makes you feels like you are in a theater. Before i got this i researched a lot and was ready to pay around 500 $ to get a good projector. But i realized its not worth it because no matter how good a projector is it still has to be operated in complete darkness to give its best. And if you want a theater like experience with lights on then go for either 75 or larger TVs and they are too expensive right now.So in short this option to me seems the best until i get a 75 inch ultra HD tv. Works fine, but NOT 1080p NATIVE RESOLUTION. The projector works just fine, I'm giving it a low rating because the page says specifically "native resolution: 1920x1080" but that's a lie, the device's native resolution is actually 480p. The only reason I'm not asking for a refund is because I bought it for a specific use case and resolution isn't a huge deal for it, but I don't appreciate being lied to.